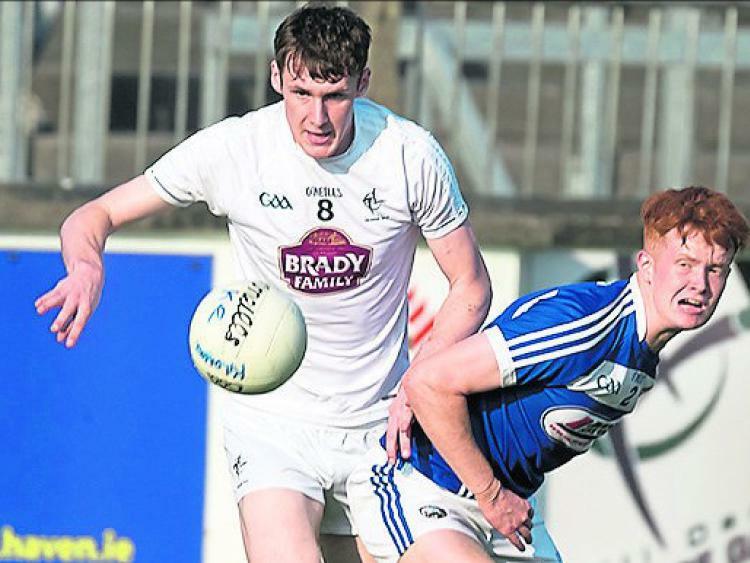 Here’s an article kildaregaa365’s founder Richard Commins contributed to the Kildare Nationalist this week which previews the 2019 season for the senior footballers. Note: it was written before the Westmeath game! You’d want to be half-mad or half-cut to attempt to preview a Kildare season. I can assure you I’m not the latter. The bar-stool ball-gazing gets conveniently lost in an intoxicated fog with only the designated driver on hand to bear accurate witness when predictions go awry as the year progresses. But my musings are down here in black-and-white, sober and, ahem, considered. Remember my disadvantage when you throw them in my face in June. From the first match this year we acquired a bad losing habit. It started with the O’Byrne Cup against Louth and who would have thought we’d be up in Derry in June before we’d shake it off. Early signs suggest the players and management have realised the benefit of a winning habit, with the two games before Christmas played at an intensity level markedly higher. It’s not just attitude to hard work though, it’s about making the right decisions and executing accurately when the chips are down. This has been our Achilles heel for years and 2018 was no different. I expect Division Two to be a quagmire with few if any matches won easily. We must be ruthless throughout the field, whether it’s not letting in soft goals, taking the vast majority of our scoring chances or not falling foul of silly black cards, particularly if the ‘sin-bin’ remains in operation for the league. Could David Hyland contribute more out the field? Our defensive performance is always a conundrum. Despite having what I would regard as good quality players at the back, we concede far too many scores. You can’t get away with an average concession of 19.4 points per game. O’Neill has been experimenting in pre-season. Mark Barrett has had two outings now along with several his under-20 colleagues. With Johnny Byrne departing the scene there’s an opening for someone to come in at wing-back. I don’t see radical changes in personnel in the starting back-line, though. That’s not been Cian’s way. I imagine it might be as simple a solution as James Murray, Keith Cribbin or Cian O’Donoghue slotting in for Byrne while the full-back line of Kelly, O’Grady and David Hyland remains in situ. I think we need to be bolder. Firstly, I don’t think Hyland’s best position is in the corner and would like to see him in the half-back line. Secondly, Fergal Conway’s strength and work rate could be of huge benefit around the centre-back position, particularly now we’ve an array of forwards. What then for Eoin Doyle? Despite his All-Star nomination, seasoned Kildare fans wouldn’t have been overly impressed with the captain’s form this year. Is there an argument that he could be a more effective presence at full back, where his role would be more clearly defined than at present, where he is neither sweeper or marker? How would that reshuffle look then? With Donnellan still in goal despite Aaron O’Neill’s progression, I’d look at a full-back line of Kelly, Doyle and O’Grady with Murray, Hyland and Kevin Flynn as the half-back line. But the key difference would be Conway playing as a defensive midfielder helping the half-back line when the opposition attack. That doesn’t mean there shouldn’t be opportunities for the young players. I imagine Barrett and Mark Dempsey will push the full back line hard for places and may get a good run if injuries occur. DJ Earley looks like the sort of tigerish corner back we’ve been missing as well. O’Neill has quite a job on his hands to achieve the balance between winning games and bringing through the under-20’s. I think it’s his nature anyway, but I don’t think there’s a necessity to throw them in en masse to the starting fifteen. When you look at the likes of Earley, Archbold, Nash, even Jimmy Hyland, a lot of those players are quite small. They might need a year or so before they can physically operate at senior level. Remember that in the old days they would still have another year at under-21 level to mature further. An obvious exception to that approach would be Aaron Masterson. He looks ready, no question about it. 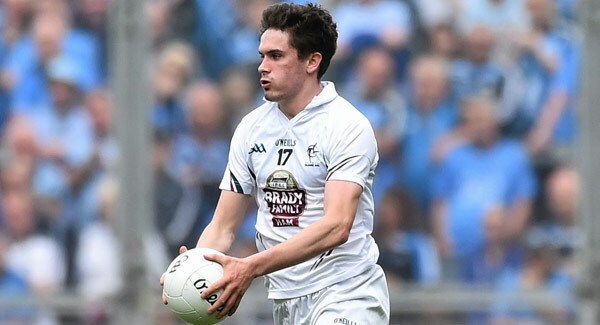 The Moorefield midfielder has the physical attributes already to make a big impression and given Kildare have had some challenges in that part of the field of late I would bed him straight in alongside Kevin Feely. Apart from his obvious ability in the air, Masterson can get back and defend, pick a pass, take a point, and his overall work rate is top notch. Let him at it, I say. Hyland has given every indication against Carlow and Offaly that he is gunning for a corner forward slot, despite the competition there. And against Division 3 opposition he certainly offered no support to the view that he lacks the physique to thrive at senior. However, the slight hamstring strain that forced him off in Kilcormac was a timely reminder that we might need to wrap him in cotton wool a little bit. He could start on the bench and make his initial impact from there. Let’s be honest. It’s just not possible to replace Daniel Flynn like-for-like. You only have to look through his goalscoring reel in 2018 to appreciate that there is no forward in Ireland, let alone Kildare, who can do what Daniel can do. 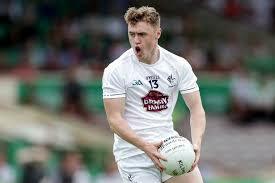 When you consider Flynn scored seven of Kildare’s fourteen goals in competitive games this year and Niall Kelly scored two more of them, O’Neill will have his work cut out to keep Kildare scoring at or above the average rate of 17.5 points per game. At the same time, with the return of O’Flaherty, Tyrrell, McCormack, Hartley and Fogarty and the promotion of Nash, McLoughlin and Malone, I can’t recall us going into a season with such apparent attacking riches. Indeed, a couple of years ago I seem to recall some real concern amongst Kildare fans as to where scores were going to come from. The challenge for O’Neill is going to be a different one than in defence. Here he has at least two and in some cases three players competing for each position in the forward line. It’s about finding and exploiting the right combinations. Paul Cribbin and Neil Flynn are the only guaranteed starters right now in attack, assuming Cribbin is released from midfield duty thanks to Masterson’s promotion. If we did go with Conway as a supplementary back that would leave only three other positions available and ten or more candidates in contention for them. Honestly, I am undecided how I would utilise the resources available and a lot depends on how players are moving in training and how they fare through the rest of the O’Byrne Cup campaign, which hopefully will stretch at least to a semi-final. Part of the conundrum is what to do with Paddy Brophy. The Celbridge man is not reaching the heights he achieved prior to his Australian sojourn. Playing Brophy at wing-forward has not been a success and with Flynn gone my feeling is that Paddy could be a good option at full forward. He seemed to do well closer to goal when he first came back and is usually good for a couple of points and knows where the goal is. With the mark rule as well, he could be a good target up there and a good man to feed the other forwards. If it’s not at full forward I’m not sure where he fits in. For the first time in his career, Paddy might be struggling to make the team. What about the rest of the forward line? I love the confidence with which Adam Tyrrell is playing at the moment and while he could also play at full forward or corner forward, his powerful running and long-range shooting make him a good choice at wing forward with Paul Cribbin on the other wing. If the forward mark rule remains in place for the league, centre-forward looks like a critical position as you need someone to pick out the inside men with a foot pass. I’d lean towards Eoghan O’Flaherty in that role. He’s a good man to pick up scraps around midfield and to distribute accurately. If Brophy’s at full forward, that leaves room for one other inside man. You can’t go against Neil Flynn for that slot after the remarkable (and underrated) summer he’s just had. Just look at the forwards left out of that selection though: Hyland, McLoughlin, Nash, Healy, Slattery, Fogarty, Sherry, O’Callaghan, Malone, Hartley. However much we enjoyed the ride, Kildare failed in their goals in 2018. Relegation from Division One was not in the script and reaching the Leinster Final was clearly the championship aim. The immediate goal for 2019 must be promotion back to Division One. Seven of the eight teams competing in the Super 8’s were from the top division and you’d imagine it will be similar most years. That’s no coincidence. 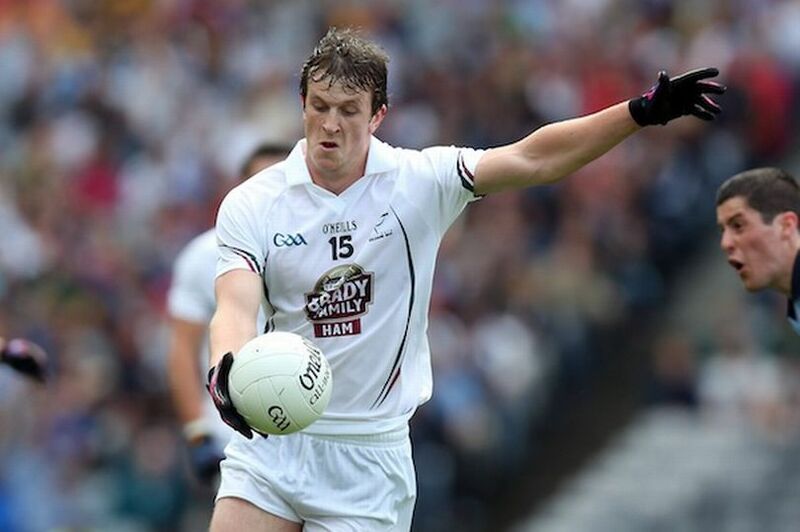 Kildare won’t find it easy, though, to get out of Division Two. As much as we’d like to believe otherwise there’s not much between the teams in that league in 2019. Add in the fact we’ve four away games including having to go to Cork, Meath and Donegal, and it’s clear we’re going to have a fight on our hands. Given that, the home games, as ever, look vital to win, starting against Kieran McGeeney’s Armagh at the end of January. Geezer’s team disappointed in the championship although they were involved in that marvellous qualifier against Roscommon, but they’ve got the sort of attack that could thrive against our defence and I wouldn’t expect more than a point or two between the teams. Kildare have a shocking all-time record against Cork but thankfully we seem to be getting that under control with a run of three wins in four games over the last few years. Along with Meath, Cork are probably the most unpredictable team in Division Two. There’s nothing guaranteed against either side in their own back yards though. Fermanagh away is another banana skin. Despite our comfortable wins in league and championship these last two years against the Ernemen, they are a good league team, particularly at home and of course will have revenge on their minds after Navan. Clare and Tipperary at home are the sort of games we simply must be winning but again both teams are dangerous on their day. Nothing guaranteed against either in Newbridge. Then it’s the long trip to Donegal and it seems highly likely that there will be something big riding on that game. Nothing easy then, but Kildare need Division One football. You could make an argument for it being more important for our football future than progressing far in this year’s championship. What can we hope for in the summer then? I am loathe to predict anything after the Carlow debacle. Surely, though, we couldn’t be caught by Wicklow? Once bitten etc. I would be confident that with the experience of 2018 and with the game set for Carlow rather than Aughrim, Kildare will be up and running nicely after that one. Longford would pose an altogether different proposition. I’d rate them arguably third or fourth in Leinster right now behind Dublin, Kildare and, perhaps Meath (although they’ve now beaten Meath in championship and O’Byrne Cup in the last seven months). We managed to find a way through against them this year and the odds are we should be able to do so again to secure a semi-final with Dublin. Could we win that? Unlikely and impossible to predict at this remove. Ask me again in June. We would have to have improved significantly but even still we won’t have played any Division One teams before facing the Dubs in Croke Park. Next to winning it, I’d be looking to us to produce a “Mayo”-type attitude and performance free from fear. Just go for it with everything we have and see if we can get into their faces and within a point or two with five minutes left. Then, just maybe we’d have some proven “winners” with no fear of Dublin on the bench to come on and finish them off. Realistically, though, you’d have to think a route from Qualifying Round Two to the Super 8’s is a more attainable goal. I’d live with that as long as we’ve been ultra-competitive against the Dubs and can get at least one win from the Super 8’s. Who knows after that? One thing’s for sure. We have the ingredients in the panel to make it another year to remember.